The new Transformer Book will first hit the Japanese market and along with an Intel Core i5-3537U processor it will have a 13.3-inch sensor display at Full HD resolution (1920 x 1080 pixels). Next to the display and the CPU customers will enjoy the benefits of 4 GB of DDR3 SDRAM and a 128 GB SSD. The hybrid notebook also sports a microSD card and weighs 950 grams. In addition if you use a dock station then you can take advantage of full-sized SD cards and a 500 GB hard drive as well as USB 3.0 ports and monitor outputs. 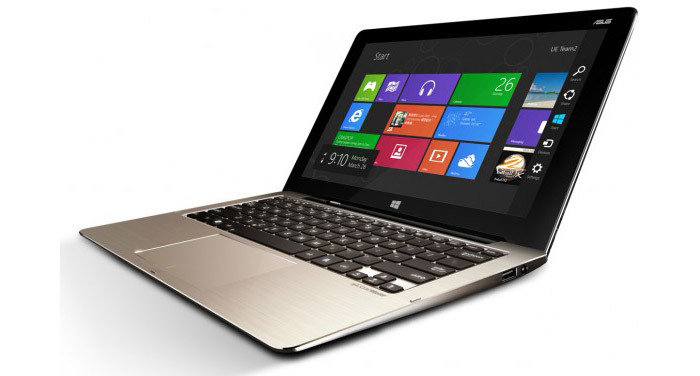 The Core i5 version of the Transformer Book will run a 64-bit version of Windows 8. Pricing is unknown.